From the beginning, Batman: Arkham Knight had a difficult task at hand. Developer Rocksteady had to craft Arkham Knight into a powerful finale to their acclaimed Batman Arkham series. 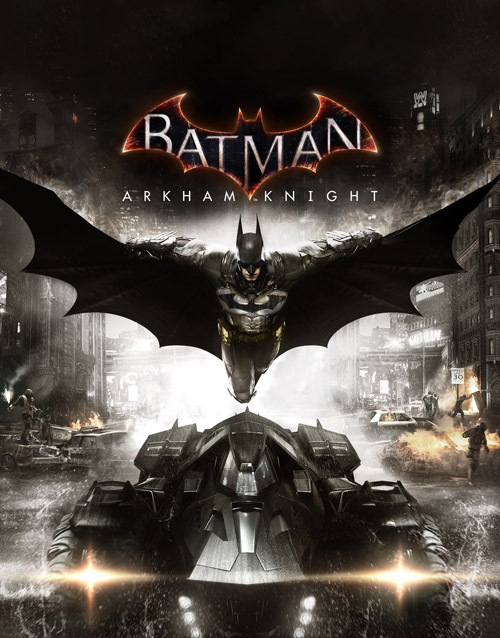 Like the wonderful Batman: Arkham City, and the sublime Batman: Arkham Asylum before it, Batman: Arkham Knight had to surpass its predecessors both as a solid action-adventure game and as a memorable Batman game at that. Fortunately, Batman: Arkham Knight is a beautiful and exciting game, even if it falls short in some areas while trying to stand out from previous entries in the series. Taking place nine months after the events of Arkham City, players once again assume the incredibly capable role of Batman. Scarecrow is ready to unleash his magnum opus, an airborne fear toxin set to engulf the three main islands of Central Gotham and make its inhabitants tear each other apart… sort of like in Batman Begins. To make matters worse, he is aided by a multi-billion dollar army of trained soldiers and conveniently unmanned drones led by an angry masked man: the titular Arkham Knight. Touted as the finale to the Batman Arkham game series, the game’s plot attempts to deliver a restless rollercoaster ride of action and tragedy while establishing the illusive kind of finality that comes with ending the story of Batman. Unfortunately, as a Batman story, the plot struggles to bring forth any new material. Most of the twists and major reveals are predictable and there are too many ridiculous developments and moments that you are just expected to take at face value — even by comic standards. Several major solutions or causes to problems simply work without explanation or foreshadowing and fall apart under a little examination. A particular plot device, that easily has the most lines and maybe the widest variety of new animations in this game, did not even need to exist. On the other hand though, the plot is never boring and offers an interestingly dark look into Batman’s head. It stays mostly at an even but encouraging pace and contains some exciting and empowering scenes that will make Batman fans coo. Needless to say, the writing, voice acting, directing and facial animation are new highs for the series. Most scenes, especially heavy ones, are well done and deliver a good emotional kick. For the most part, everyone animates and emotes much more than before, making them and their situations more believable. 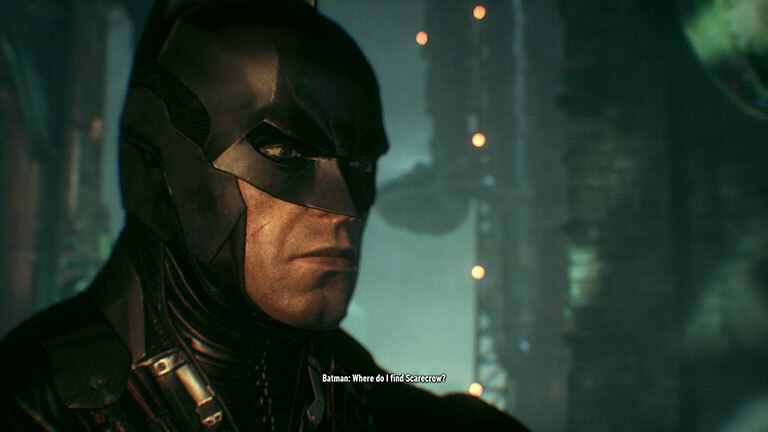 Oddly, Batman himself still does not have that much facial animation outside of cutscenes, standing out as the only character in the game with a blank stare and a flapping mouth. Interestingly, the manner in which the story is told constantly changes. Like in previous entries, the camera perspective shifts so that the player experiences parts of the plot unfold in a specific way. Sometimes, narrative is delivered through cutscenes or a simple conversation, while other times entire scenes change and play out in front of the player. Though the constant shifts in perspective can be disorienting at times and the inconsistency can be annoying, most story moments and gameplay are interwoven seamlessly, often doing a great job of grabbing your attention while keeping you interested. 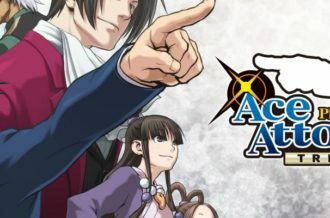 A large amount of work visibly went into delivering a narrative that never rests and keeps players involved, making for some fantastic moments where the player and the scene are in the same mood and are moving at the same pace. While the story is exciting but uneven, the gameplay is the same way. Likely due to a desire to make this latest Batman game feel more fresh, you arguably get to “be the Batman” for less time than you spend being the Batmobile. This isn’t a surprise, but it is unfortunate given that the Batmobile does not enable enough variety for the space it takes up. 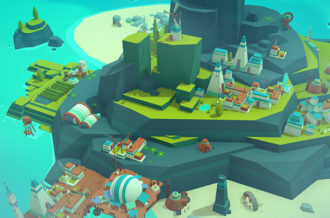 Like in previous games, Batman can just take a more free-form means of getting places and glide above the three playable islands, using the now-upgradeable grapnel boost for extra speed and airtime. 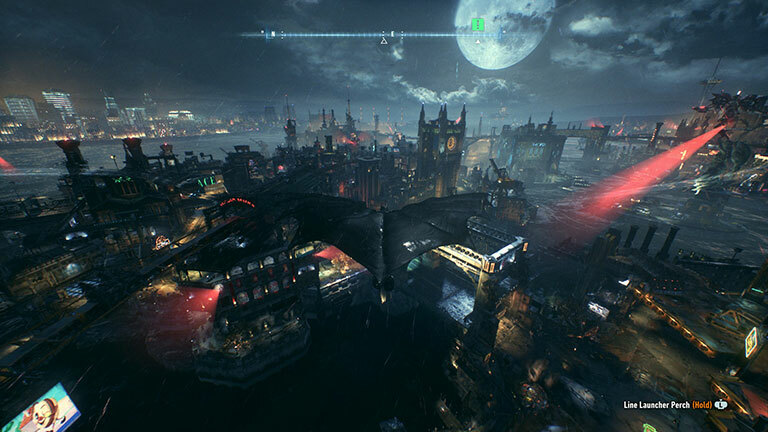 Given the curious presence of the Batmobile, however, players will often find themselves in tank battles with the Arkham Knight’s drones or solving the bevy of progression puzzles that only exist to get the Batmobile from point A to B. That is not to say the Batmobile isn’t fun; driving it doesn’t feel out of place but makes you feel powerful and it’s just vulnerable enough to not seem overpowered. It has two main modes: Pursuit Mode, where it’s a car, and Combat Mode, where it’s a tank. 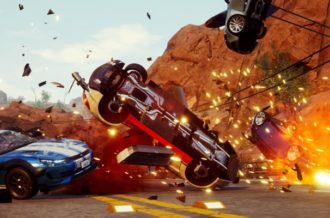 The car handles similarly to a powered-up truck, as though it does make turns very easily, has an intimidating engine sound and an afterburner, it never feels very fast. Controlling it is a bit floaty and there is a learning curve as well, so be prepared to accidentally take your guns out and switch into Combat Mode every time you want to turn around or back up. Tank combat in the Batmobile is fun, though, requiring just enough skill to make you satisfied with yourself when you’ve improved – especially when you are ridiculously outnumbered and need to stay on your toes. Aside from the standard tanks, enemy drone attacks range from rocket launchers to mortar strikes, putting much needed variety into the process of blowing them up. As mentioned, the Batmobile also plays a big role in puzzle solving. 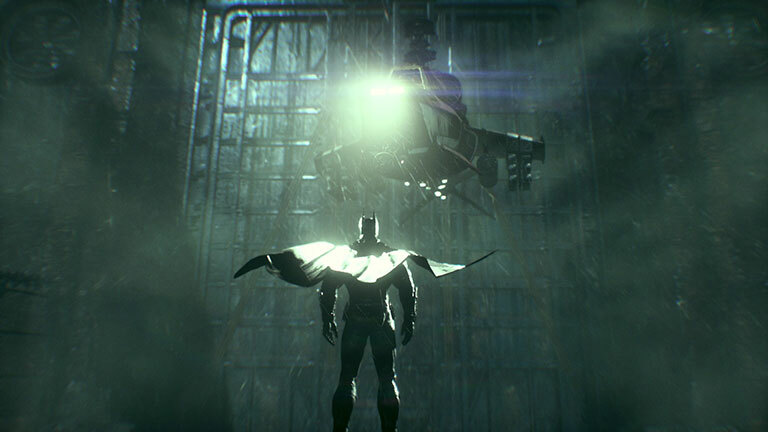 Not counting the numerous riddles and Riddler Trophies strewn throughout the game world, nearly half of the simple puzzles involve using the Batmobile as a tank-shaped swiss army knife, forcing you to switch to it in every stand-off and in every situation where there are no solutions in your utility belt. 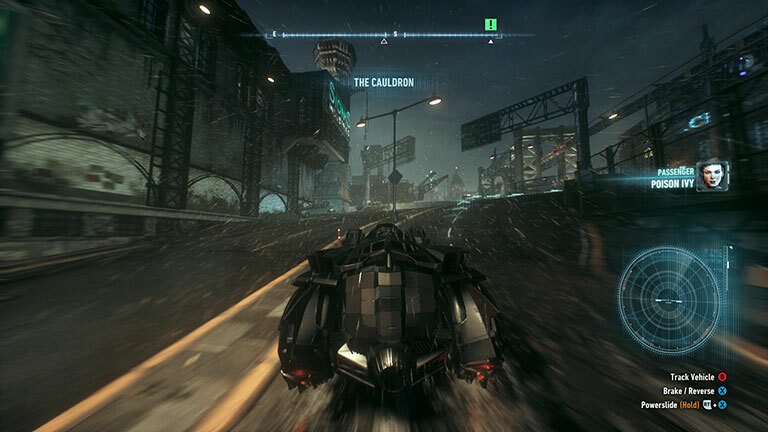 Whereas it gives a heightened sense of scale, the Batmobile takes up too much of the game’s duration, including boss fights. There aren’t enough interesting and varied encounters in Arkham Knight because so many of them are these admittedly explosive tank battles, awkward car platforming moments and chases where your souped-up odds-evening tank-car needs time to gain on an old mid-range sedan. The plus side of the Batmobile taking too much gameplay space is the resulting escalation of threats in the actual Batman portions of the game. The Free-Flow melee combat works the same as before. Focused on fighting many opponents at once, Batman strikes whoever he is aimed at, targeting them automatically. The idea being to keep landing unblocked hits and accumulate a combo multiplier which allows for a special takedown at certain numbers. 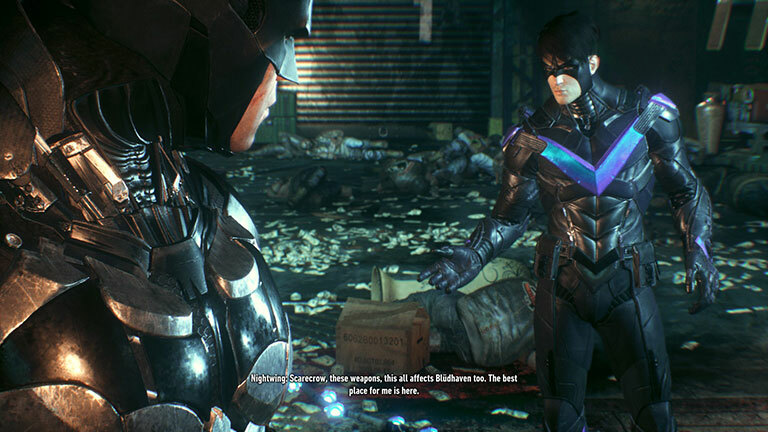 Like in earlier games, some attacks still favor enemies that are more vulnerable to them, so at times, Batman may still not attack who you want him to. Many new gadget-based takedown moves have been added, but combat otherwise works nearly entirely the same as before. A nice variety of enemies will be quickly encountered, like sword-wielding ninjas, medics that revive fallen enemies and large goons that require concentrated attention. This increased variety and subsequent difficulty make the reduced amount of Batman segments feel fresh and challenging each time. There is easily more variety and more challenge in the average fight than ever before, making the use of gadgets and defensive tactics essential to winning. For once, simply pressing the strike button and waiting for counter indicators is no longer entirely viable, resulting in some great fights. To add on to that variety and difficulty is the Dual Play feature where, at certain times in the story or on certain side missions, Batman will team up with another member of the Bat Family. In these sections, players can freely switch between the two characters mid-combat, and build up a dedicated gauge that triggers a powerful Dual Takedown which takes an enemy out while switching player control to the other character. It works and actually makes you feel like you are controlling two characters. Due to the spontaneity of the character switching though, every playable character plays pretty much the same, with some variety in their gadgetry. In other words, there isn’t really anything truly new about the combat, it doesn’t feel fresh but enough things are added to it to keep it interesting. Likewise, the fight animations are mostly reused from previous games, which makes sense but is a bit of a letdown after seeing many of the same animations in the last three games. The Predator stealth sections also make a return, though they are even more rare in this game than before. These stealth encounters were originally the most Batman-like moments of the previous games. In them, players stalk unknowing enemies within a generally defined or enclosed area, using Batman’s ninja skills, gadgets, and the environment to pick them off. These segments remain largely unchanged from before, but enemies react more readily to your tactics now and are much better at finding you. Oddly, certain things have been removed from predator encounters. 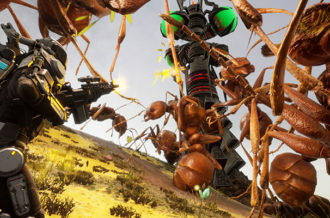 Enemies no longer seem to use thermal vision to look for you in the dark, and though they now employ drones to sweep the area and try to track your location whenever you enter the enemy-highlighting Detective Mode, they do not seem to use any particularly new tactics against you that change up the way a Predator encounter would go down. 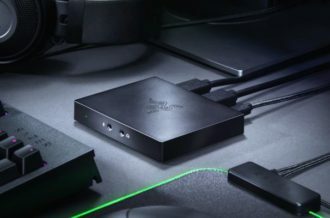 But there are new single-press navigational options now where Batman can get from above an area to beneath it, or even drop down from an angle and perform a takedown, at the press of a button. Double Takedowns are gone and have been replaced with Fear Multi-Takedowns. Instead of being able to silently knockout more than one person simultaneously, the only way to takedown more than one person at once is to use the loud, unstealthy Fear Multi-Takedown ability. Fear Takedowns first need to be unlocked by performing a silent takedown, but can be used to takedown up to three enemies in quick succession. The number of foes Fear Takedowns can be used on at once is also upgradeable, which is nice. But because it is easy to access it, and since it is the only way to do multi-takedowns now, Fear Takedowns are by far the most useful tool in a Predator section, making the stealth rooms simpler than they needed to be. If anything, the stealth sections are now easier to navigate, and require even less thought as a result. Dual play does occur in Predator encounters as well, but it is rare and does not translate well when having the other character take someone down also switches control to them. Like in previous games, Batman still does not level up, but gains skill points that can be invested into five different skill trees which range from combat abilities to Batmobile upgrades. Skill points are gained either from getting enough EXP, or from completing part of a “Most Wanted” side mission, or an AR Challenge. Speaking of, there are plenty of Most Wanted side missions to do. Just as much work was put into these side missions as the main story, making for some interesting moments and intrigue. Some are just about finding and saving people in distress, others have Batman teaming up with someone else or investigating a string of murders. The length and variety of these missions vary greatly, and though that makes sense with their placements in the game world and in the story, it makes some of them come off of as tiresome or insignificant. The placement of Most Wanted missions is very intentional though, as at various times, you are encouraged to pursue them instead of the main story. Tackling the side missions and the main story in moderation makes for a balanced experience that offsets the monotony of playing any particular type of gameplay segment for too long. To top it off, challenge maps make a return as AR Challenges. The best part of this is they are accessible in the game world, giving players a chance to practice while providing an additional challenge for more skill points. It’s beneficial to do these extra missions too, as there are more skills available than you will have points for by just pursuing the main story. Of course, there are collectable Riddler Trophies and riddles everywhere, occasionally making up almost half of an area. They are nice to see, and stand out like in previous entries, as they offer a pleasant change of pace when available. Similarly this spread of objectives keeps everything different and makes the experience very dense with things to do. There is very little real downtime in Arkham Knight and that keeps the pace of the game from falling short, given the many things to do in it. The final parts of the story, however, do seem to drag on a little in spite of this. Visually, the graphics on display make this perhaps the best looking Unreal Engine 3 game ever made. The rain looks heavy and Batman’s new Batsuit V8 looks very convincing. Given the amount of crashing new Batmobile drivers are wont to do, there is a surprising amount of reactive destructibility here. Graze an enemy drone and part of its armor will fall off, hit a stone bench and it will crumble. The Batmobile itself also gets dirty and cleans up in the rain, parts of people’s hair wave and bob individually of each other, and someone even saw fit to include ample breast jiggle. The game does not stop demonstrating a keen attention to detail. What’s more is if Batman ever dives or glides over a car he is pursuing, he can grab onto it and send it crashing into a wall; a move that’s completely unnecessary since you have the Batmobile. Sadly, the score has not seen the same great changes as the visuals, and sounds very much like Arkham City. The soundtrack is in no way boring, there are some nice emotional pieces in it, but it doesn’t quite pump you up or make situations seems as epic as previous games have. Batman: Arkham Knight is a dense and enthralling action-adventure game with a winding, if predictable, story that does make you feel like the Batman both inside and outside the Batmobile. There are too many Batmobile gameplay segments, however, making this predominantly similar in theme to that Batmobile-focused Batman arcade game. This is unfortunate, as the presence of the Batmobile ensured a much larger, multi-layered Gotham City that looks wonderful and was crafted with an unnecessary level of detail. The combat and stealth are the same as before, but their adjustments and brevity keep the familiar Batman sections just different enough to feel new. As intended, the Batmobile is a nice change of pace, even if its numerous sections get old and nearly overstay their welcome. From start to finish, there is constantly something interesting to take in and someone interesting to take down, making Batman: Arkham Knight the inspiring ride we deserve for the duration of its 10 to 25 hour experience. Until next time, hero.